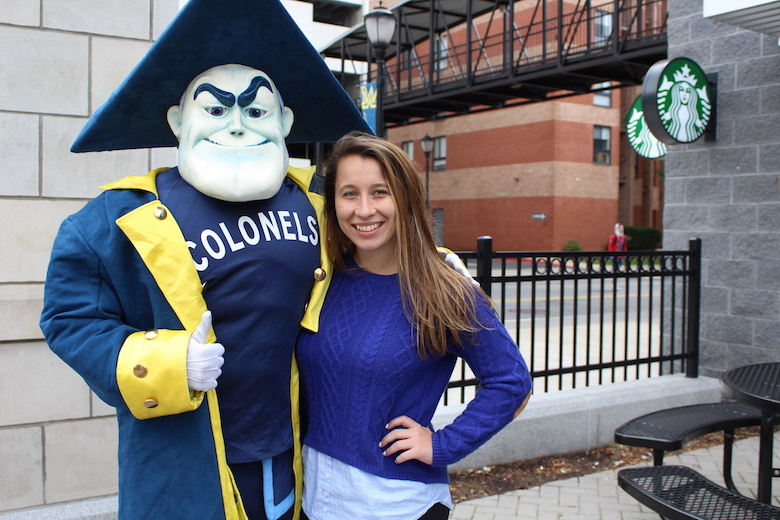 Wilkes University senior Aislinn Speranza has two full-time jobs. She’s a communication studies and marketing dual major and a player on the women’s soccer team. As if that wasn’t enough, she’s had leadership roles on campus, serving as the Kirby Scholar of marketing and the CEO of Zebra Communications, the student-run public relations firm. As a first generation college student, Speranza notes her appreciation for the campus community for students who are the first of their family to attend college. After being asked to speak at the Gateway to the Future campaign kick-off during homecoming, she explains getting to share her journey with members of the community who make it possible was an honor. Now, the knowledge she’s gained in the classroom has helped to her to land internships that eventually took her around the country and then to Great Britain. Her first internship with the Greater Wilkes-Barre Chamber of Commerce in her sophomore year gave her connections which set her up for success. It helped her to land an internship with United Sports Academies. United Sports Academies seeks to connect people through sport and is dedicated to providing sports clubs, teams, and organizations with the best possible, highest quality international sports experience, both on and off the field. That internship combined her interests in sports and communications. Speranza also serves as the Kirby Scholar of marketing. The Kirby Scholars Program provides current Wilkes undergraduate and graduate students with hands-on experience in their chosen discipline while serving as a resource for businesses at the Wilkes Enterprise Center. 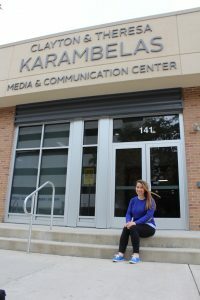 As the scholar of marketing, she meets the with marketing department, handles content distribution for the Allen P. Kirby Center for Free Enterprise and works with clients. Now, with graduation months away, Speranza is looking towards the future. She’s weighing her options, considering both graduate school for an MBA or entering the communications field via a job in sports marketing or a travel firm a major city. “There’s a bunch of opportunities out there, it’s just a matter of seizing which one,” she said.